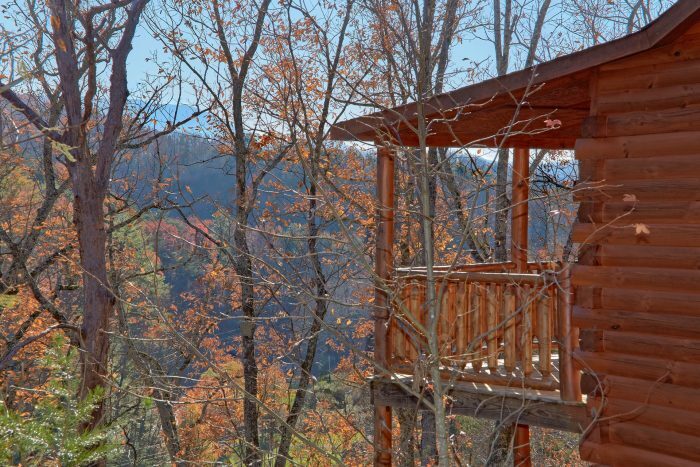 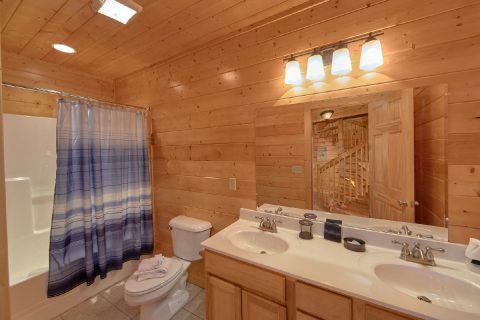 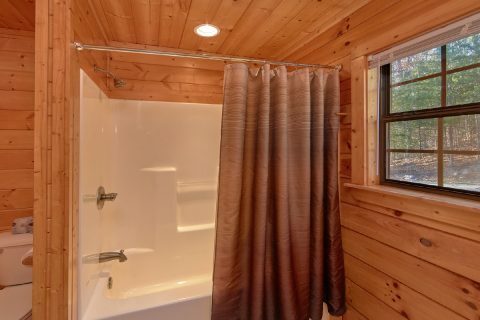 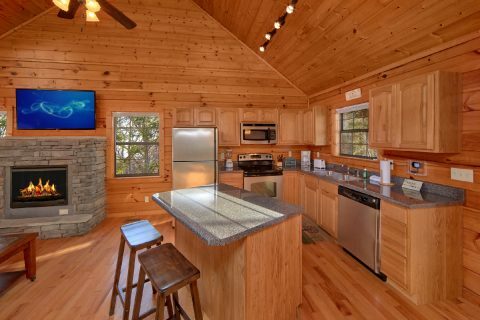 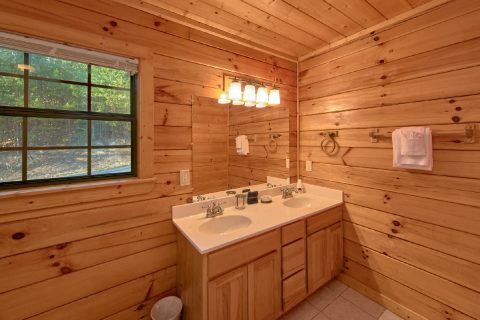 Nestled in the beautiful Hidden Springs Resort area of the Great Smoky Mountains, you'll find "Cheeky Chipmunk Getaway," an affordable 3 bedroom cabin that sleeps up to 7 guests in comfort. 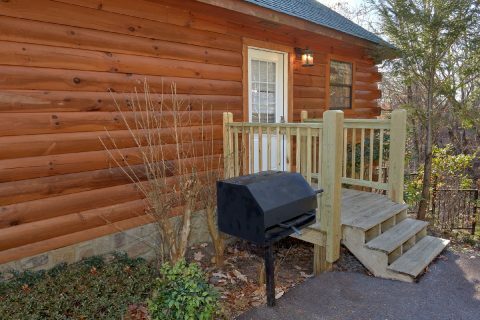 Not only does this rental boast a great location that's only 2 miles from Dollywood Theme Park, but it also comes complete with resort pool access courtesy of Hidden Springs Resort! 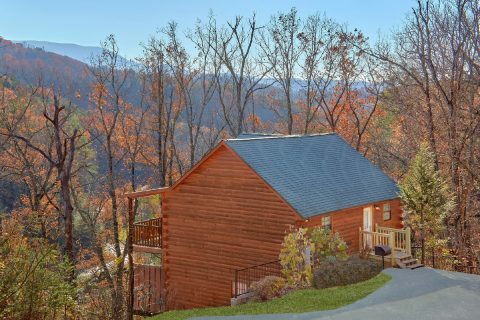 Better yet, this rental is also convenient for reaching other top local sights like The Great Smoky Mountains National Park and Anakeesta in Gatlinburg. 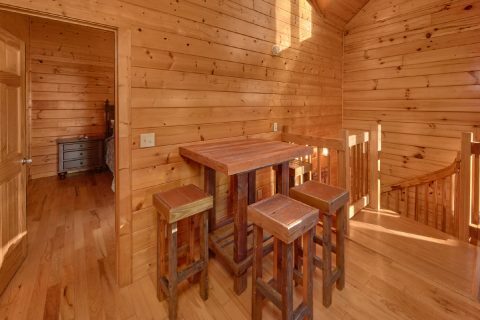 With room for up to 7 guests, this cabin is just the right size for a family vacation or a fun weekend in the mountains with friends! 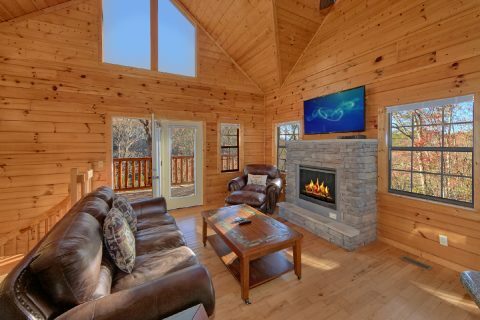 Step inside the main level of this rental and you'll find an open floor plan that's complete with a full kitchen with a breakfast bar and a living room that boasts an electric fireplace and a flat-screen television. 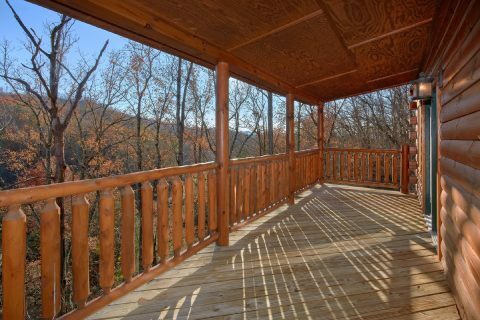 Be sure to step outside onto your cabin's upper deck to sit back in a rocking chair while you enjoy this rental's forested view. 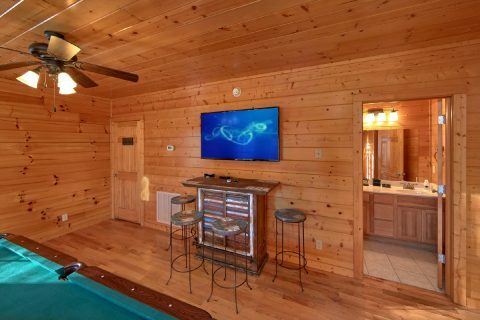 Downstairs, you'll find plenty of entertainment in this rental's game room that features a pool table, pub table, and a flat-screen television. 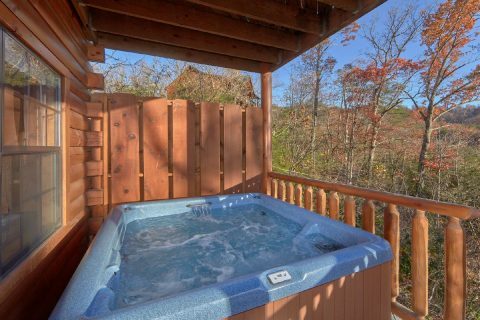 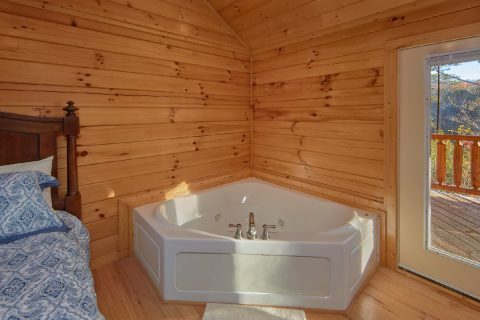 There's also a lower level deck with a hot tub, so you can rest your weary bones in its warm, bubbling waters after a great day of hiking in the mountains. 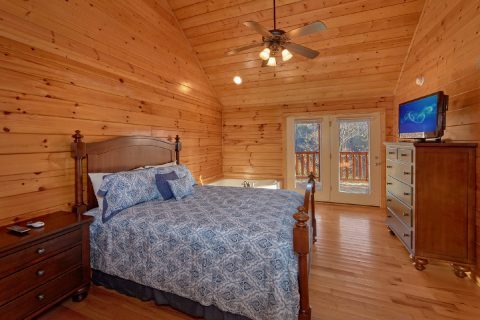 Once you're ready to get some rest, you can look forward to sleeping in one of this cabin's 3 bedrooms. 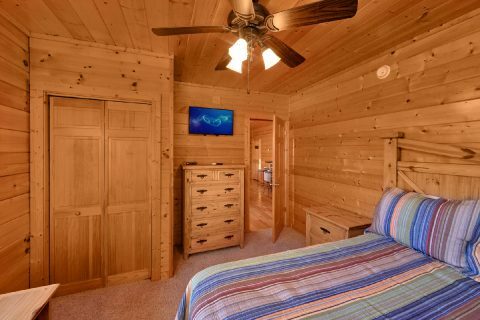 On the main level, there's a queen bedroom that comes complete with a flat-screen television, jacuzzi tub, and a full bath. 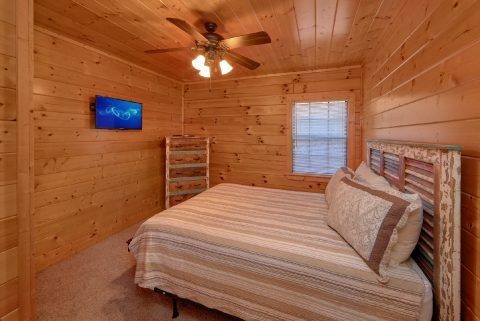 Downstairs, you'll find two more queen bedrooms with private televisions. 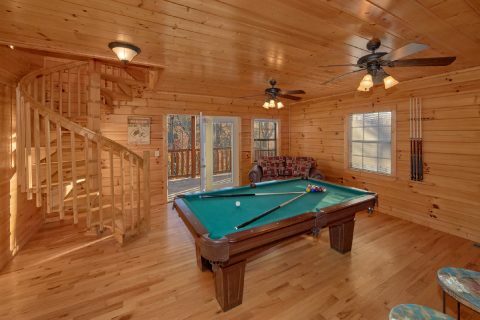 Lastly, the game room area area provides a twin sleeper sofa. 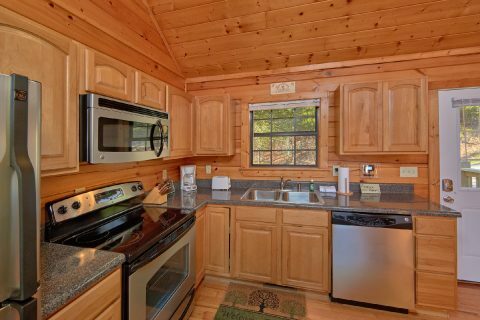 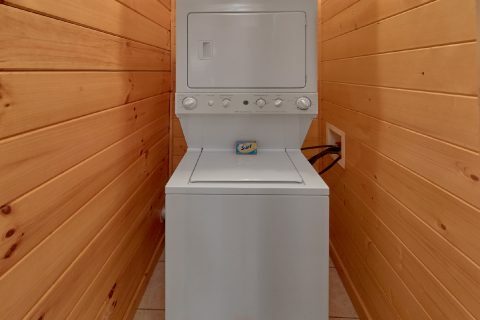 Lastly, this cabin comes with useful amenities like a charcoal grill, a washer/dryer, and Wireless Internet for you to use during your stay. 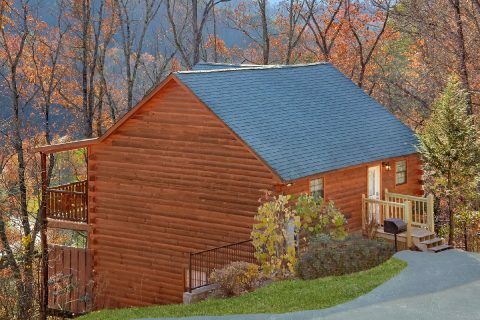 Book this affordable cabin online with Cabins USA Gatlinburg today to save 15% on your nightly rate with our special cabin discount! 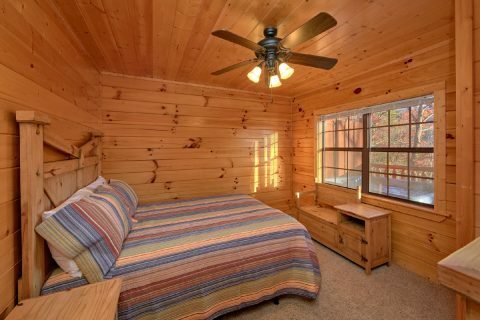 Reserve your rental today to save!